. يعمل North Shore Hotel على ضمان إقامة مريحة لضيوفه من خلال خدماته الممتازة وحسن ضيافته. يقدم هذا الفندق العديد من الخدمات الكفيلة بإرضاء أكثر الضيوف تطلباً. في North Shore Hotel غرف نوم يزيد عددها عن 28 صممت بذوق وعناية لتوفر لك كل وسائل الراحة . بعضها يحتوي أضاً على غرفة معيشة منفصلة, تلفزيون بشاشة مسطحة, غرف لغير المدخنين, مكيف هواء, تدفئة. كما أن مجموعة الخدمات الواسعة الموجودة في الفندق لضمان راحتك تترك لك الكثير من الخيارات لقضاء وقتك أثناء فترة إقامتك. 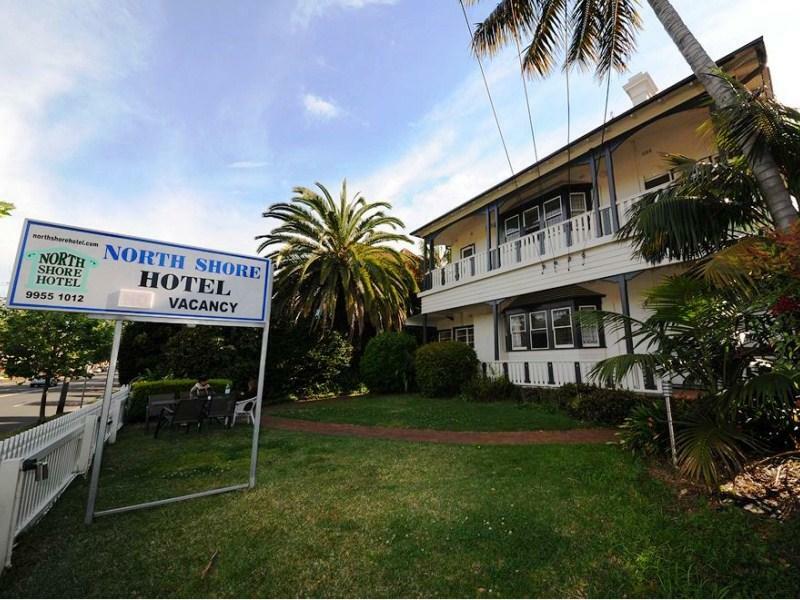 مهما كانت دواعي سفرك فإن North Shore Hotel هو خيار ممتاز لإقامتك في سيدني. يُرجى ملاحظة أن أماكن انتظار السيارات محدودة وتخضع للتوافر، وتكلفتها 10 دولار أسترالي في اليوم. توجد مواقف سيارات غير محدودة أثناء عطلات نهاية الأسبوع خلف العقار. موقف السيارات محدود بساعة واحدة فقط بين الساعة 9 صباحًا و 5:30 مساءً في أيام الأسبوع العادية. يوجد موقف سيارات بالعداد أيضًا في ميلر ستريت مقابل 0.60 دولار في الساعة. I have stayed here many times. It's basic, EXPENSIVE, but it's convenient to my conference. Reception closes at 7pm which is very early. I said I'd arrive at 11pm. The key would be waiting for me. They upgraded me to a Suite. Lovely! I arrived at 11pm, they key was there, but I had been DEMOTED back to a standard room. A slap in the face, but I was no WORSE off, right? The room was tiny, the door only JUST missed the bed. The basin so tiny, I couldn't wash my face without getting water EVERYWHERE! The shower so tiny, you can't wash without elbows smacking into the wall. Went to bed at 12:30am & was still WIDE AWAKE at 6:30am due to all the NOISE from other guests. Loud voices and doors banging all night. The room was never dark as so much light came in from the hall around doorframe. And in the morning, the blind over window kept out NO LIGHT as it is so far out from wall. As I was getting dressed (I was naked), housekeeping BARGED IN without even a knock! 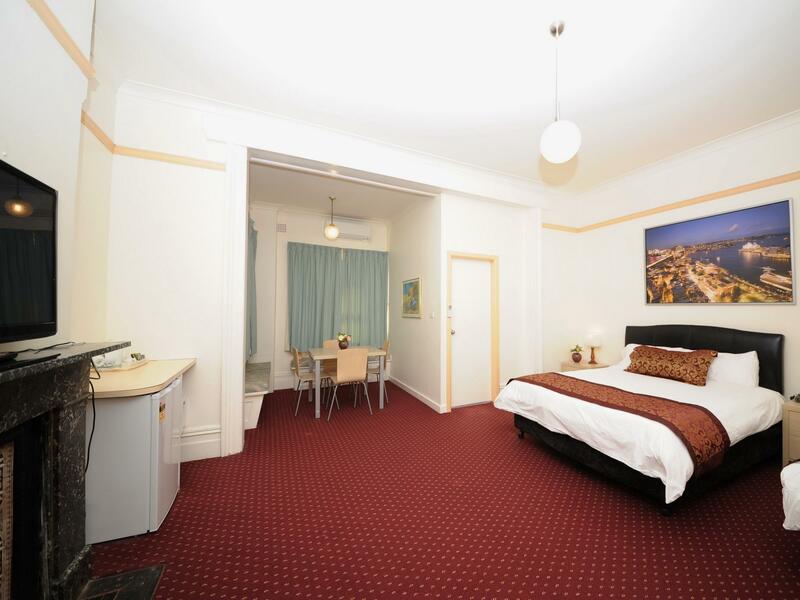 Great location close to shops and walking distance to train station and hospitals. I couldn't sleep because I thought either the ceiling above was going to collapse or I would be murdered. Horrible. Rooms are very basic and a bit tired but clean. No outlook but room itself quite light. Good location for North Sydney, Crow's Nest and Neutral Bay. Good transport links to the city. Cleanliness stood out. Could have used a little more milk in the fridge. Specified twin beds - got to the room and only a double - had to wait for beds to be reconfigured. VERY noisy neighbours - youth hostel kitchens face straight on to the hotel bedroom windows. Didnt sleep very well for both nights even after speaking to the staff - they seemed "surprised" and said "this never happens" - well it happened 2 nights in a row. Have stayed there before in another part of the building and the noise was there entering every night for a week - luckily had another room in another part of the hotel last time so could sleep. 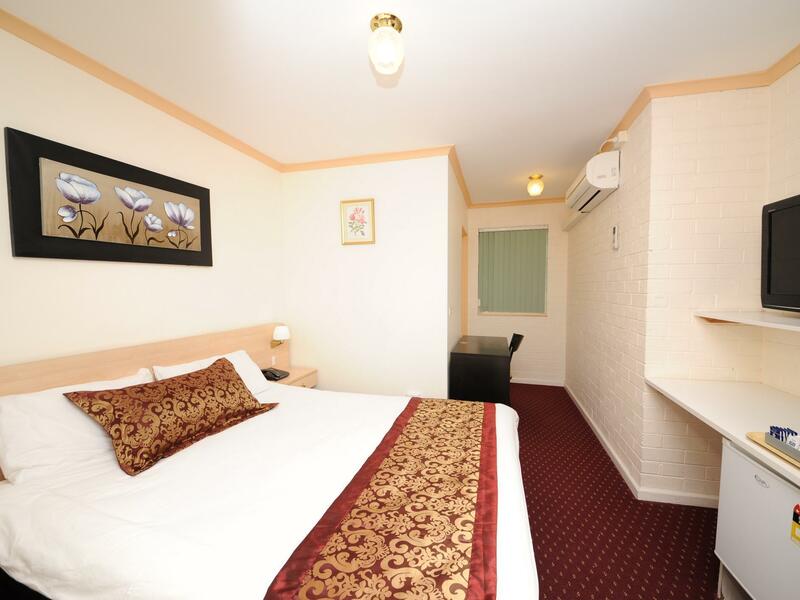 Quiet room and comfortable room. Very old bathroom and tiny window. Never saw any staff and no facilities to speak of. Good location on a bus route. Spent a couple of nights here with the kids in a pretty large room compared to most other places you'd find in Sydney. The building certainly has character with its age and high ceilings etc. It's not modern (which can be nice) but our room and beds were comfortable and we enjoyed staying here. When we arrived (by car) the front desk person was happy to walk us down the back street a little way to show us exactly where we could park the car, which was helpful. We'll probably return to this place next time we're back in Sydney. If you are after a receipt for your stay dont use agoda. It is quite hard. I still cant get one. 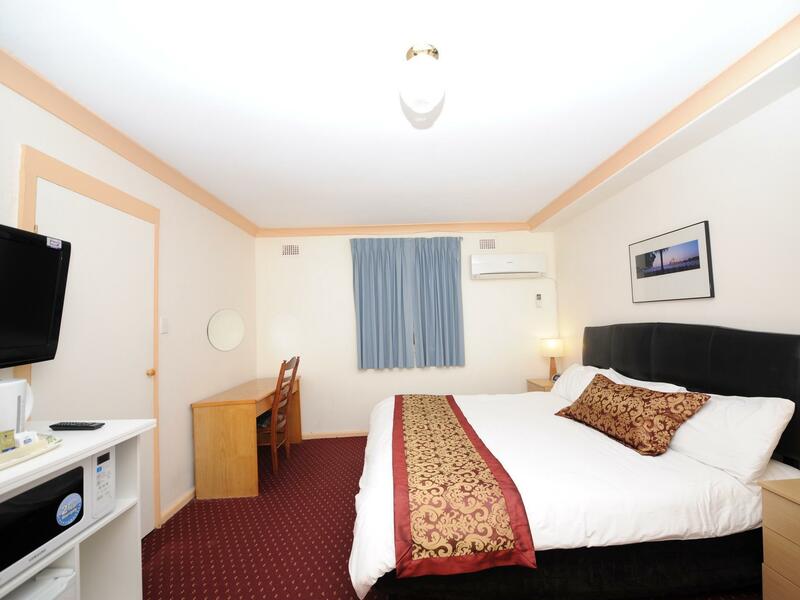 The hotel is well located and reasonably good value for money. But you get what you pay for. The rooms are small but perfectly adequate with good beds, sparkling towels and a decent ensuite with a rainwater shower, as well as the usual tea-making facilities, a fridge, digital TV, etc. Breakfast is available for $7 and secure parking for $10 extra - fair enough. The highlight is the very helpful staff team who, without exception, were smiling and helpful. I have no doubt we'll be back. Thank you.